Our 2009 Foal crop has arrived. 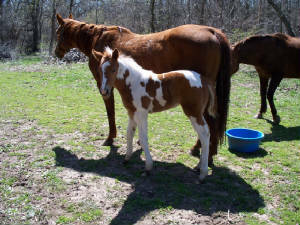 We have foals from 3 APHA Stallions: Jesse, Sam and Doc. We have a few mares bred to each one of these fine boys. They are all very quiet and gentle and pass that disposition down to there foals. 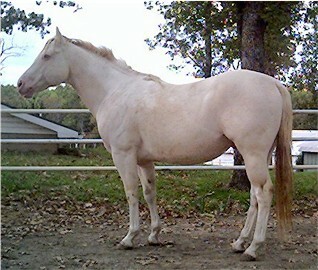 Our Mares are APHA and AQHA. On this page there will also be our miniature foals. They are all out of a gray pinto mini stud: Hotshot. AS A MARE FOALS WE WILL ADD HER FOAL TO THIS PAGE. 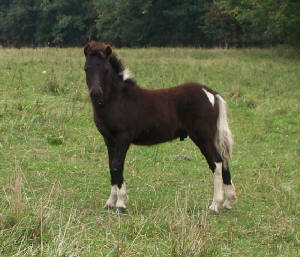 PLEASE JUST CLICK ON EACH FOALS PICTURE TO SEE THEIR PEDIGREE AND ANY INFORMATION WE HAVE ABOUT THEM. THANK YOU ! We are Proud to Welcome our first foal. 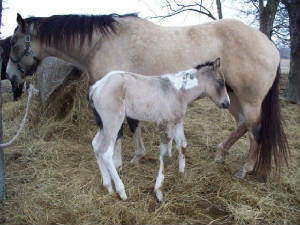 On Febuary 16, 2009 CHIEFS SKY DIXON LB had a beautiful Tobiano Buckskin Filly - DOCS CHAMPAGNE SKY. Her Sire is DOCS SUGAR BUBBY RLM. SOLD - THANK YOU MARSHA ! We are Proud to Welcome our Second foal. 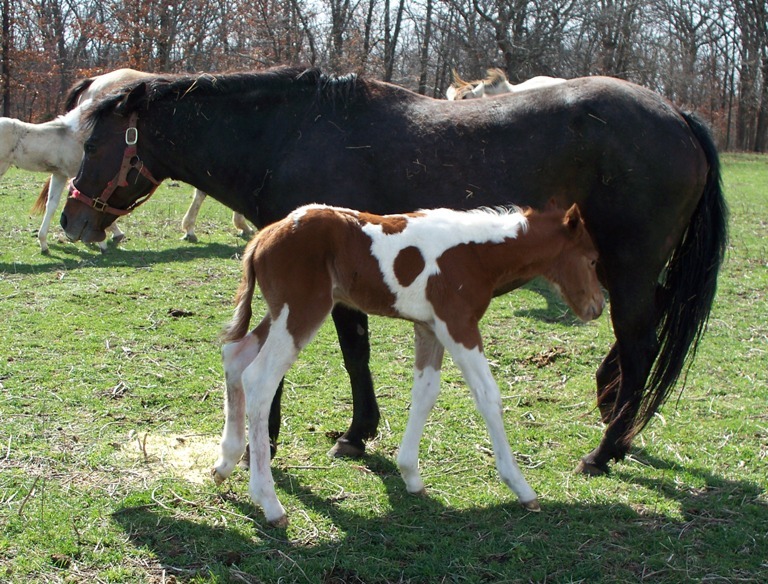 On March 8, 2009 GLAMOROUS GOGO GIRL had a beautiful Tobiano Sorrel Colt - DOCS O CHOCOLATE CHIP. His Sire is DOCS SUGAR BUBBY RLM. SOLD - THANK YOU MISS ELLA ! We are Proud to Welcome our Fourth foal. 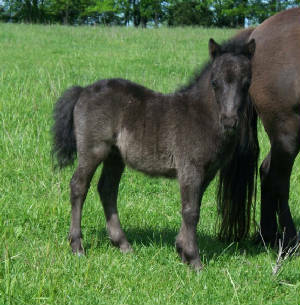 On April 29, 2009 MARTHA our AMHA Miniature mare had a beautiful Solid Black Colt - WHISKEY. His Sire is HOTSHOT. Hotshot is a 31"grade. At this time we are asking $600. We are Proud to Welcome our Fifth foal. 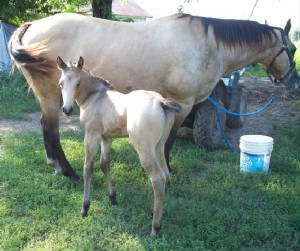 On May 6, 2009 CHIEF SWEETY had a beautiful Solid Buckskin Filly - SWEET JOSE CUERVO. Her Sire is JESSIE BARS TIVIO. At this time she is At this time we are asking $1000. We are Proud to Welcome our Sixth foal. 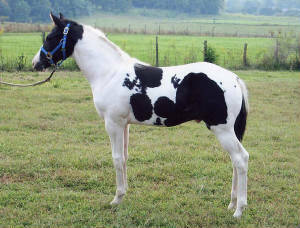 On May 11, 2009 WINTER BLUE MOON had a beautiful Black and White Tobiano Filly - JACK DANIALS BLUEMOON . Her Sire is MY TEXAS TORNADO. SOLD - Thank You Kerry and Michael Couch ! We are Proud to Welcome our Seventh foal. 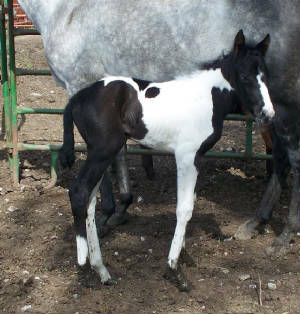 On May 20, 2009 SPARKLE our AMRA Miniature mare had a beautiful Black & White Tobiano Colt - RHINESTONE. His Sire is HOTSHOT. Hotshot is a 31"grade. At this time we are asking $600. We are Proud to Welcome our Eigth and Last foal. 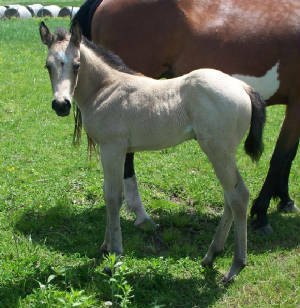 On June 30, 2009 CLASSY BEAU RENO had a beautiful Buckskin AQHA Colt - . His Sire is DOCS SENATOR. Sold - Thank You Stan. If you are interested in one of our 2009 Foals please fill out the form below and send it to us. We will get back with you as soon as we can. Thank You !